How the LNG Bunkering Market in Europe Is Escalating up to 2024? Graphical Research provides a most up-to-date report on, "Europe LNG Bunkering Market demand is predicted to reach USD 12 billion by 2024". Growing demand for clean fuel along with stringent environment regulations with an aim to limit emissions will accelerate the business growth. Abundant availability of natural gas coupled with ongoing investment toward the development of LNG infrastructure will further complement the Europe LNG bunkering market share. As per the UNCTAD, in 2016, the seaborne trade escalated by 2.6% when compared to 1.8 % in 2015. In addition, ongoing directives including 2014/94/EU, mandates the states to provide required infrastructure and funds for LNG bunkering in their respective areas. The Netherlands LNG bunkering market will grow over 26% by 2024. Stringent industry standards pertaining to the fuel composition along with strict marine emission policies will augment the industry landscape. International Maritime Organization (IMO), in 2015, has introduced strict regulations pertaining to reduction of particulate matter and Sulphur emissions level to 0.1% across designated ECAs. In addition, ongoing promotional activities by the respective government authorities toward environment protection and adoption of cleaner fuels will stimulate the industry growth. Adoption of sustainable fuel owing to internationally defined standards along rising shale production will foster the Europe LNG bunkering market. Replacement of traditional fueling sources including MDO (Marine Diesel Oil) and HFO (Heavy Fuel Oil) with cleaner fuel in order to comply with defined maritime standards will positively influence the business growth. In addition, significant efforts by industry players toward improving fossil fuel sustainability will augment the business landscape. As per ongoing EU policy, the member states are mandated to include one LNG bunkering port including 10% of inland and costal ports. Eminent players operating across the LNG bunkering market include ENN Energy, Engie, Gasum, Skangas, Prima LNG, Crowley Maritime, Polskie, Swedegas, Bomin Linde, Fjord Line and Enagas. Rapid growth across tourism industry owing to rising per capita income along with consumer inclination toward luxury and improved standard of living will boost the demand for cruise ships. Adoption of ecofriendly fuel coupled with considerable government spending toward expansion of the recreational sector will drive the LNG bunkering market growth. The maritime tourism in 2016, generated a revenue of worth USD 7.6 trillion making it the highest revenue generation segment along with a contribution of over 10.2 % to the global GDP. 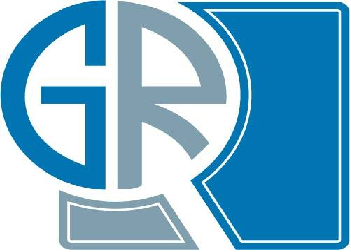 DISCLOSURE: Graphical Research is a business research firm that provides industry insights, market forecast and strategic inputs through granular research reports and advisory services. We publish targeted research reports with an aim to address varied customer needs, from market penetration and entry strategies to portfolio management and strategic outlook. We understand that business requirements are unique: our syndicate reports are designed to ensure relevance for industry participants across the value chain. We also provide custom reports that are tailored to the exact needs of the customer, with dedicated analyst support across the purchase lifecycle.